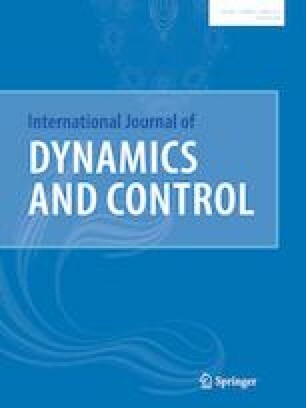 This article focuses on designing an antilock braking system (ABS) controller to adjust the wheel slip to the preferred value using sliding mode control and fractional calculus. The ABS must be robust against external disturbances such as variations in the friction force between the tire and road caused by changes in the road conditions, loadings and etc. A fractional order PD switching surface is defined, then in order to improve the convergence speed and increase degree of freedom of the controller, a new sliding surface is defined as fast terminal dynamic sliding surface which is formulated using Fractional Calculus. Then, a fractional order fast terminal dynamic sliding mode controller (FOFTDSMC) is designed. Also, for estimating the upper bound value of the lumped uncertainty in the proposed controller, an adaptive FOFTDSMC is designed. The finite time stability of the closed-loop system is guaranteed. Simulation results show the effectiveness of the proposed controller in terms of fast tracking with high robustness when compared to the fractional order sliding mode controller and fractional order fast terminal sliding mode controller.